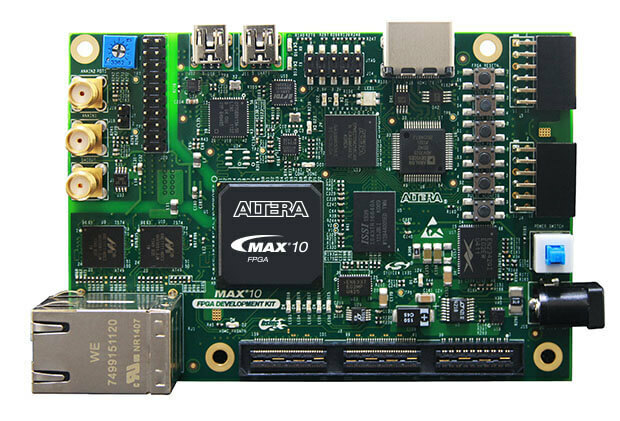 The Zephyr kernel is supported on the Altera MAX10 Rev C development kit, using the Nios II Gen 2 soft CPU. Other switches are user switches, their position is application-specific. You will need the Altera Quartus SDK in order to work with this device. The Altera Lite Distribution of Quartus may be obtained without charge. 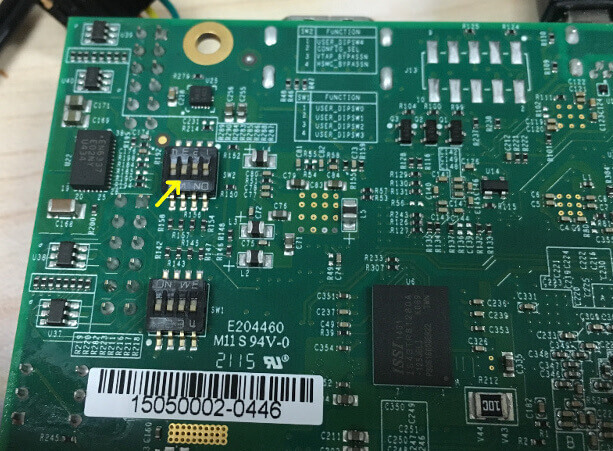 You may need to adjust your udev rules so that you can talk to the USB Blaster II peripheral, which is the built-in JTAG interface for this device. # For Altera USB-Blaster permissions. A reference CPU design of a Nios II/f core is included in the Zephyr tree in the soc/nios2/nios2f-zephyr/cpu directory. This CPU is a Nios II/F core with a 16550 UART, JTAG UART, and the Avalon Timer. For any Nios II SOC definition, you can find out more details about the CPU configuration by inspecting system.h in the SOC’s include directory. By default, the kernel is configured to send console output to the 16550 UART. You can monitor this on your workstation by connecting to the top right mini USB port on the board (it will show up in /dev as a ttyUSB node), and then running minicom with flow control disabled, 115200-8N1 settings. The usual flash target will work with the altera_max10 board configuration. Here is an example for the Hello World application. Refer to Build an Application and Run an Application for more details. This provisions the Zephyr kernel and the CPU configuration onto the board, using the scripts/support/quartus-flash.py script. After it completes the kernel will immediately boot. The SDK included the nios2-download tool which will let you flash a kernel directly into RAM and then boot it from the __start symbol. If you have a console session running (either minicom or nios2-terminal) you should see the application’s output. There are additional arguments you can pass to nios2-download so that it spawns a GDB server that you can connect to, although it’s typically simpler to just use nios2-gdb-server as described below. The Altera SDK includes a GDB server which can be used to debug a MAX10 board. You can either debug a running image that was flashed onto the device in User Flash Memory (UFM), or load an image over the JTAG using GDB. You can debug an application in the usual way. Here is an example. This GDB was configured as "--host=x86_64-pokysdk-linux --target=nios2-zephyr-elf". Breakpoint 1 at 0xdf0: file /projects/zephyr/arch/nios2/core/prep_c.c, line 36. Breakpoint 2 at 0x1254: file /projects/zephyr/kernel/init.c, line 348.
nios2-poky-elf-gdb  zephyr/zephyr.elf -ex "target remote :1234"
It is OK for this procedure to leave the reset vector enabled, unlike nios2-download (which errors out if it finds sections outside of SRAM) it will be ignored. In a terminal, launch the nios2 GDB server. It doesn’t matter what kernel (if any) is on the device, but you should have at least flashed a CPU using nios2-configure-sof. You can leave this process running. Transfer rate: 417 KB/sec, 368 bytes/write. After this is done you may set breakpoints and continue execution. If you ever want to reset the CPU, issue the 'load' command again.